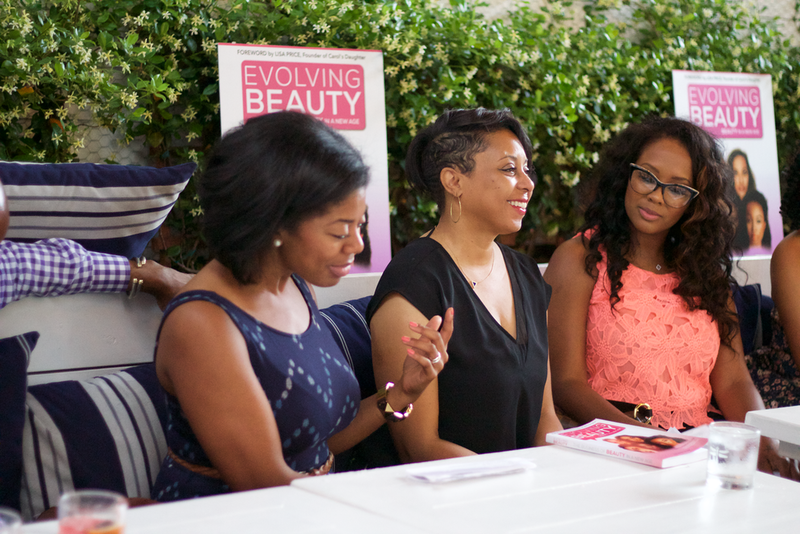 On Monday May 2, 2016 Beauty Culturalist and Author, Phylencia "PT" Taylor co-hosted the Evolving Beauty New Age Beauty Book Tour--Atlanta Edition. Guests enjoyed beauty industry insight from the panel discussion session. Panelists included: Beauty Blogger Kiwi The Beauty, CEO of Foot Kandy Judy "Jae" Nash, CEO of Myavana Candace Mitchell and CEO of Honey Pot, Beatrice Nixon. The panel was moderated by Balanced Not Busy Founder, Ciji Tatum and hosted by Master Stylist of She Salon + Lifestyle Event Guru Barry Reynolds. The New Age Beauty Book Tour--Atlanta Edition, was held at Bar Taco, guests were treated to specialty "Evolving Beauty" cocktails and gourmet tacos. The Evolving Beauty Atlanta tour stop celebrated Phylencia Taylor's debut business book, "Evolving Beauty: The Business of Beauty In A New Age". The book was inspired by her passion for the billion-dollar beauty industry as a former Corporate Beauty Executive: Carol's Daughter, Wella Corporation and Johnson Products. Today, she’s Chief Consultant/Principle of Shine Beauty Culture Consultancy, and Content Curator + InterCultural Strategist for Dollar General's Beauty Cents Magazine.